I say “Sooo good.” And they were. They were the best fish tacos I ever had. Despite the money and the mess-Thanks, Babe. Whisk together honey, vinegar, cumin, and 1 T. of olive oil. Pour over shredded cabbage and toss to coat. Brush fish filets with a tiny bit of olive oil then season with chili powder, salt, and pepper. Preheat a skillet and sear fish, about 3 minutes on each side (being sure it is cooked through.) 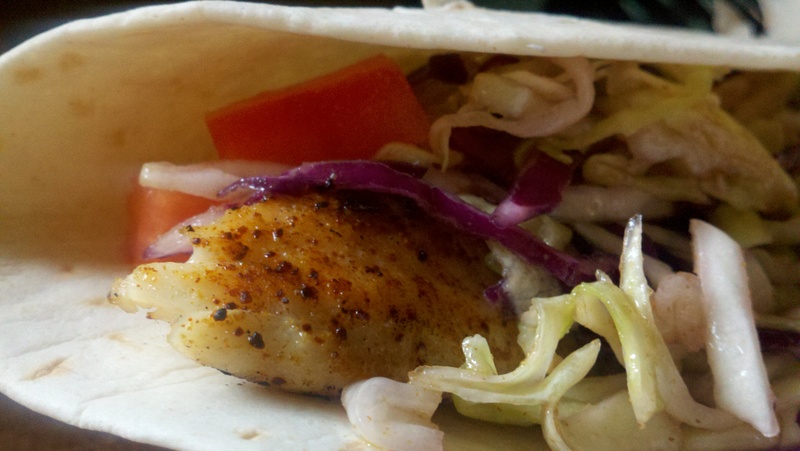 Place a fish filet on each tortilla and top with slaw, tomatoes, and onions.